Defined by its Great Lakes region and forests, which make up the largest forest state system of any state, Michigan has limitless natural areas to discover. Comprised of two peninsulas, molded by glaciers more than 12,000 years ago and so distinctive in shape that they are visible from the moon, Michigan is dotted with romantic havens for couples. 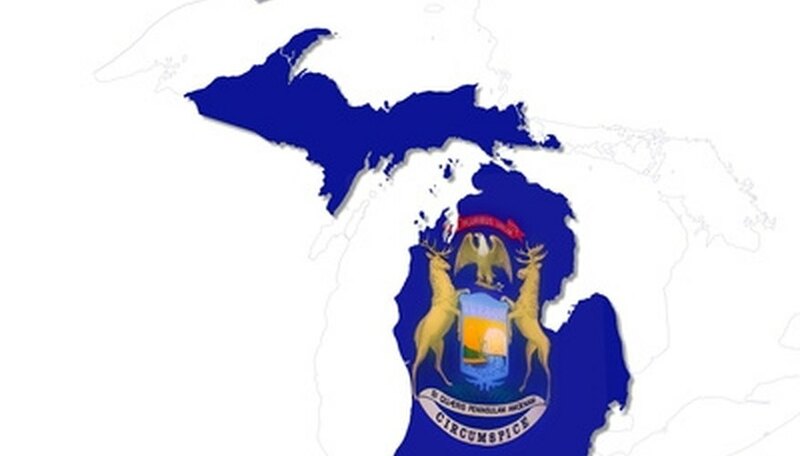 Michigan offers miles and miles of Great Lakes coastline and several diverse areas, from urban cities to rustic agricultural farmlands that produce cherries, blueberries, peaches and wine. Michigan's two pennisulas have a variety of natural spaces. Check out Michigan's lakes, as these provide ample opportunities for a romantic getaway. Michigan's two peninsulas are saturated with more than 11,000 inland lakes in addition to the Great Lakes. It is possible to take a scenic tour around lake Michigan and its 200-mile-long stretch of sandy shoreline. Stroll through the lake's beach towns along the way, enjoy picnics, walk out to lighthouses or get on the lake itself and go sailing or fishing. A large selection of accommodation surrounds the lakes; whether you're looking for camping, cabins or luxury hotels, you will find something to suit your budget. At night, sit back and relax while sipping a cocktail and watching a sunset over the lake. Investigate a romantic getaway in one of Michigan's wine regions. In Southern Michigan, couples seeking a romantic getaway will find plenty to do. Surrounded by rolling countryside, follow a wine trail and visit some of Michigan's scenic vineyards. Wine enthusiasts will be in their element and can enjoy leisurely afternoons tasting award-winning fine wines. A fruitful agricultural area, Michigan produces many varieties of wine and travellers can sample differing grape varieties such as Cabernet, Pinot Grigio, Reisling and Chardonnay. Those seeking a more active retreat can appreciate southern Michigan's ample opportunities for skiing, fishing, sailing, biking and hiking. Golf lovers can head to Jackson, Mich., a golfing mecca, and improve their swing on one of the 20 golf courses. Couples seeking a more urban, cosmopolitan holiday should not discount a romantic getaway in Detroit. Once the hub of America's car manufacturing, Detroit suffered when the auto industry crashed, but it has now emerged out of its urban decay as a fascinating tourist destination, notable for its ethnic diversity. As Michigan's largest city and a major port, Detroit is a vibrant city and has unique art galleries and museums, a developed waterfront, large casinos, boutique shops and a buzzing nightlife. Take a cruise on a riverboat and get to know the city from a different perspective. In the summer, Detroit is host to numerous festivals, and visitors can see music hoedowns, air races, vintage automobile shows, classical concerts and more. Currently living in London, Clara Dodman's varied writing career since 2004 has taken her around the globe. She's written copy for "Dive" magazine, "Geographical" magazine and "GoActive" magazine. More recently, she worked as a copywriter for a web company in South America, specializing in health. Dodman holds a Bachelor of Arts in English literature from the University of Cardiff. Dodman, Clara. "How do I Find a Romantic Getaway in Michigan?" Dating Tips - Match.com, https://datingtips.match.com/do-romantic-getaway-michigan-7280638.html. Accessed 20 April 2019.